One thing we've learned about Greg Cutchall over the years is that when it comes to his business dealings, he never sits still. The founder, president, and CEO of Omaha-based Cutchall Management Co. has never been afraid to jump into franchise brands with both feet, test drive them, and then either grow or divest units. When we last profiled him in 2013, his company was doing about $55 million in annual revenue. Today he's riding along at $75 million. "Mostly due to our growth in Domino's, First Watch, and Jams American Grill," says the 66-year-old multi-brand operator, naming just a few of the endeavors he's been involved with since last we spoke. Cutchall was one of the largest Famous Dave's franchisees for a time, but has since sold or converted all but one of his units. Likewise, he's sold back his Twin Peaks locations. "I'm still a big fan of both brands, but there were good reasons for me to exit them," he says. Elsewhere, he converted his own creation, Burger Star, into a First Watch location. "Sales increased 300 percent over the following two years and we close at 2:30 p.m. every day," he says. "Maybe the best mistake I ever made." He's high on the First Watch brand and now own five locations with plans for two to three more. He also purchased a 30-year Omaha legacy restaurant called Jams, an American Grill. He then converted his Rock Bottom location to a second Jams restaurant in Omaha's The Old Market historic neighborhood. Another recent move has been the addition of nine more Domino's. Through a process of conversions and local buyouts, he's now up to 12 and says, "I love this brand, and our timing could not have been better: double-digit sales increase year over year over year and no sign of slowing down." He says some of his moves over the past five years have been "golden opportunities," while others were made strictly to tighten up and centralize his business around the Omaha market. 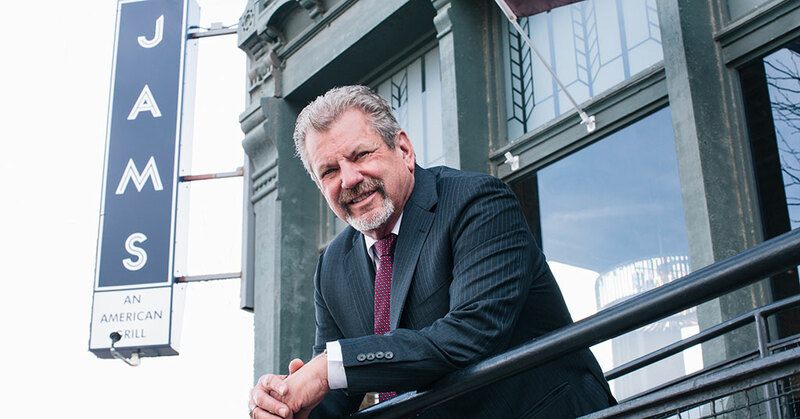 In addition to his franchising and restaurant ventures, he and his wife Molly are partners in the Omaha Design Center, a venue for local events such as Omaha Fashion Week. Who knows what brands or new adventures he'll be into--or out of!--when we next check in with him? Worked at my father's A&W Root Beer stand when I was 8 years old. Father Ray, mother Kathrine, and my Uncle Bob. Helped develop national catering program for KFC. Left that position as 20 percent owner and president of a KFC franchise to start my own company in 1989. Made the Inc. 500 Fastest-Growing Companies list three years running. Omaha Restaurant Hall of Fame. Chairman of the 2019 Multi-Unit Franchising Conference. Pay down company debt, take fewer risks. Organized leveraged buyout of 12 KFCs in 1986. Left after three years to form my own company Cutchall Management Co. I've had a few: buying and developing Popeyes, Sonic, Domino's, and First Watch. Also, hiring my Sonic/Domino's operating partner Tim Griggs and First Watch operating partner Daniel Kavan. Forcing new locations (mostly out of state) to maintain aggressive development agreement. Usually starts at in-home office at 8 a.m. I then go to the main office by noon, visit restaurants, or look for sites in the afternoon. Back to restaurants when possible until 7 or 8 p.m.
By my multiple brands it may be obvious I like variety and challenges. Although I did develop a few restaurants in Dallas, Utah, and Phoenix, I would prefer to have three to four strong brands in one market than one brand in five markets. Own the real estate whenever possible. A good cigar and a great whiskey. I don't find much time to read. I prefer to watch a good movie. Too many to pick just one. I planned to be a professional photographer. Poor follow-through and lack of details. It drives me crazy, even though I can be guilty of it. That's why people around me need to be good at it! Four days in Aspen in September 2017. My dad. He died when I was in my 20s. Living? Warren Buffet. He used to stop in one of my places near his office. Great guy. It was a neighborhood bar and grill and a Pepsi house, but we always had Diet Cherry Coke in the cooler for his visits! Pick best in-class-brands, hire the best people you can, pay them as much as you can, and share the wealth with movers and shakers! As my dad used to say, "Feed the tigers, ride the horses, and shoot the dogs." When rolling out a new concept or brand I want to be very hands-on, set up for success, and then try to get out of the way--not too far that I don't have a pulse on the place, but far enough to let management succeed and make a few mistakes on the way. I have been fortunate to attract and keep some of the best people in the business, but maintaining that as you grow fast becomes our biggest challenge. I have made some very bad hires over the years... and some very good ones. I guess multitasker would be an understatement. It's a blessing and a curse. But it keeps my brain engaged and motor running. While some may say multitasker, I prefer diversified. More family time focused and not distracted. And golf! I have a sweat equity partner in my QSR division (Sonic, Domino's), my COO Tim Griggs. He has been with me for 14 years and I trust his judgment. He is really hands-on and works as hard or harder than anyone in my company. He takes all the bullets for me in those concepts. 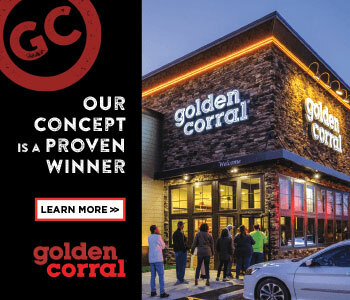 I am involved in new store development, acquisitions, and marketing, but he really runs those restaurants as he sees fit and has earned my trust in his decisions by producing good results year after year. Same goes for my First Watch sweat equity partner Daniel Kavan. Neither of these guys needs much direction, but know I am here when they need me. I am very close to operations of brands where I don't have an operating partner. But in those cases I want them to feel and operate as presidents of their divisions. I am always available when they need me and still approve and negotiate new locations, but the day-to-day is their baby. What are the most important things you rely on from your franchisor? Great purchasing contracts, training, site selection, solid R&D for new products, and a good marketing plan. Honesty, stick with agreements, reliable supply chain, and timely delivery. This is a little different in different concepts. Sonic and Domino's both have a huge national advertising budget so we have to do little but some coupon drops. For my other brands that have smaller media budgets, we continue to improve our social media attacks. Social media is huge but it is getting saturated. Everyone has a loyalty card. That's great, but you will need to stand out without abusing the guest or they will unsubscribe. At some point people will be very picky who gets their email address; many already are. It is the perfect vehicle for retaining loyal guests, but you still need other ways to attract new guests. Social media has become an animal--people are overwhelmed with social media. However, it still remains the most cost- efficient way to reach customers. You have to stand out, but not overdo it. It is the hardest part of our business. We have a full-time HR manager who is constantly recruiting. We post on most all sites available and offer good benefits along with profit sharing for key people. Leaving out details and not following through, hoping I will forget. I don't forget. Growth has been hampered by a lack of available staffing, but we will continue to grow as our support team grows. Scale back on out-of-state holdings, including not renewing some leases at average or below-average locations. Fortunately those are very few. When people ask me how many restaurants I have now, I say 48. When asked what my goal is, I jokingly say 24. That never seems to happen but I have opened, developed, or acquired more than 115 restaurants since I got into the business. I love the business, and if I have the people talent to operate them I will continue to evolve and grow revenue. In 10 years, fewer locations/concepts, but with higher volumes and more real estate. The economy has always been strong in our markets, and we are not affected by the economy in general. Increased competition and lack of workforce has always been our biggest challenge. New restaurants far outpace population growth in our markets. We have developed great relationships with locally owned and operated banks. One bank, Security National, has about 85 percent of all debt. They know and trust me, as I do them. Real estate financing is easy, but not every bank understands our business. These guys get it. I would not rule out VC or the big banks for a large acquisition, but we have none on our radar right now. Our key people all share in profits. As far as benefits, we are competitive but I wish we could do more. Health insurance is out of control, but we have minimized the damage by going to a self-insured health plan five years ago. We have saved thousands and actually lowered the premiums our employees pay for their 30 percent share. We also brought back a matching 401(k) plan a little over a year ago. Unlike many other companies, we are not rushing to drop our longer-term, hard-working, loyal employees to under 30 hours a week to avoid the health care cost coming in the future. However, we will not be hiring any new part-time employees for over 30 hours a week. That will not occur until I die. However, we will explore divesting some holdings over the next five years to spend more time with friends and family.